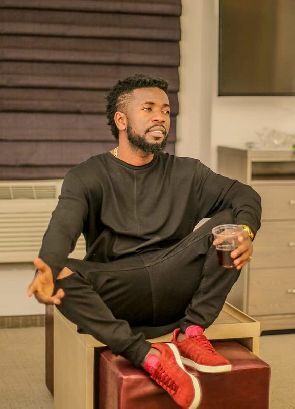 A report on Ghanaweb.com, sighted by Ghaflagh.com, states that Ghanaian Highlife musician, Bisa Kdei is currently in the American police custody. According to the report, Bisa Kdei was trespassing on the property of the American government without permission. It further adds that Bisa was on set shooting the music video for “Asew” off his “Highlife Konnect” album in a white community. However, they cannot confirm if they had a permit or not. The portal, however cleared that it has not confirmed the story yet. As to what triggered the alarm, the source says there were a lot of blacks on set shooting in that particular white community. It therefore believes that one of the neighbors called the police for such trespassing. All efforts to reach the management who are currently with Bisa Kdei in the States have so far proved futile. One of his promoters here, when contacted said he can’t speak about the issue until he gets hold of Bisa Kdei himself. Meanwhile, checks on Bisa Kdei’s Snapchat, @bisakdei page seems to show a video of him stating that; “I’ve been caught by the police”.